Morrisey Racing :: Perilous Love proves too good! 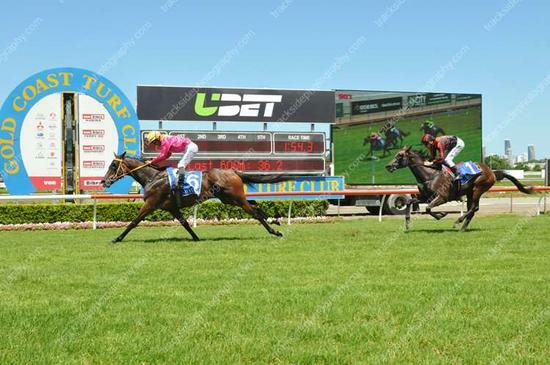 Perilous Love has won her maiden in great style today at the Gold Coast. Coming from behind, the daughter of Love Conquers All flew down the outside to race away for a great win. Congratulations to Shane and Terry Harper on a great win.